FEATURES & OPTIONS: Linen, cotton, Coated or Uncoated stocks. Watermarks. Full color. Let the world know you mean business with the polished look of a custom letterhead. A professionally printed letterhead can instantly add an extra level of class to any of your business communications. 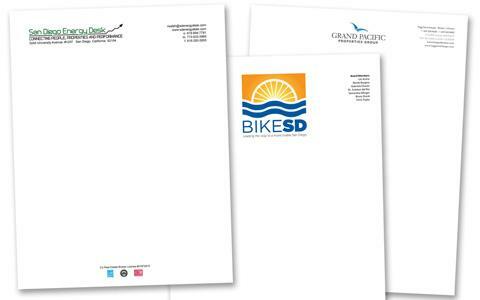 Whether you’re sending out proposals, creating sales sheets or handwriting client communications, consider preprinted letterheads on a premium stock. We offer full-color letterhead printing on a wide variety of cotton and linen stocks in addition to our premium house stocks that are perfect for handwriting as well as laser and inkjet printers.